Today was the official first day of Jeep Beach in Daytona Beach, Florida. This annual pilgrimage of Jeep owners is the Yin to Easter Jeep Safari’s yang, with Daytona offering a decent match to Moab. 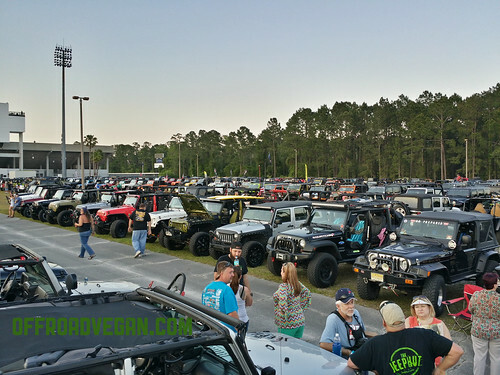 Jeeps gather at the Daytona Beach Municipal Stadium. Where Daytona can’t possibly compare with Moab’s terrain and trails, it delivers in spades better weather, beautiful beaches, and a coastal atmosphere. Today was pretty chill; we started the scavenger hunt – a contest to take photos of your or your Jeep around Daytona Beach with various landmarks, waiters, and other curiosities. My buddy Jason rocking an official ORV T shirt! 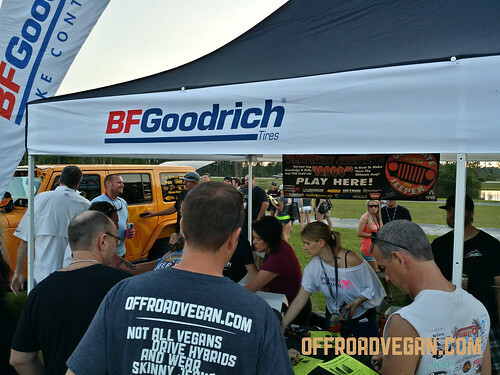 The day culminated at the Daytona Beach Municipal Stadium, where hundreds of of Jeeps and Jeepers converged to meet with vendors, chat, and enjoy some local music and cold beers. 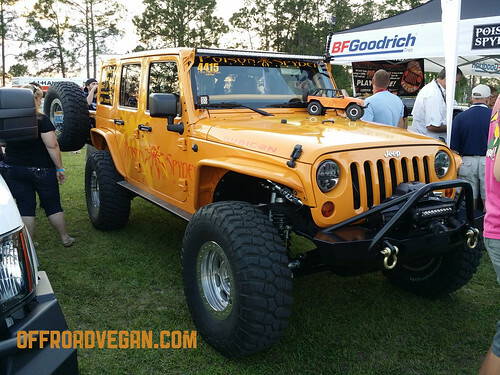 Rugged Ridge had some awesome Jeeps today, looking forward to seeing more of their Drakon Wheels and Hurricane Fenders! I spent some time meeting with the team from Spiderwebshade and Factor 55 where we discussed their newest products. I am looking forward to learning more. They snuck me some VIP tickets to the Tiky Party on Friday! 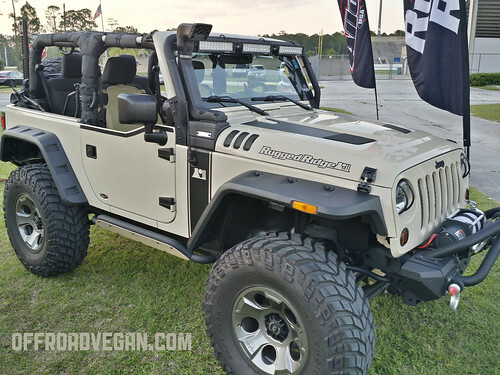 Poison Spyder had this beautiful JK. We saw some amazing rigs and saw some of the newer Jeeps from vendors – the Skyjacker jeep had some fresh damage from a crash at EJS! Tomorrow we will continue the scavenger hunt and spend more time on the beach and in the Jeep! Check out this awesome panorama!